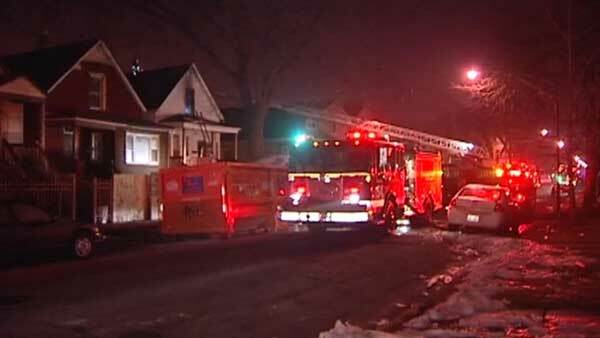 CHICAGO (WLS) -- A fire forced 12 people, including several children, from their South Side home overnight. Fire broke out in a home near West 71st Street and South Sangamon Street in Chicago's Englewood neighborhood around 12:40 a.m. Wednesday. Everyone made it out of the building without injury, thanks to quick thinking by Jevonne Coleman. He ran through the home and woke everyone up once he knew the house was on fire. "It was a critical instinct," Coleman said. The family said they had lost power earlier in the day and were using candles. One of the children may have knocked over a candle.